It is risky business speaking of our dead children. We risk crying in public. We risk the discomfort of others. We risk crowds scattering before us like dust before an electric fan, everyone afraid of “catching what we’ve got.” We risk dirt flying in our faces as others furiously spade the earth to cover the ugly remains of our dead. Perhaps, worst of all, we risk indifference. Oh, the painful silence of our dead children being acknowledged in public only to be ignored! It is easier to hold our dead safely and quietly in our hearts where no one can offend or abuse them. But the truth is that our children did not stay in our wombs, and they do not now live in our hearts. They left our bodies to return to dust. They went before us in death, and we follow them into the grave. This is why we speak of our dead children: because they lived and died and, we trust, live again in Christ. Our dead children are remembered and loved not only by us but by God who Himself lived and died and rose again that we all might live forever with Him in the flesh. Thank you, Kristen, Audrey, Adrienne, and Melanie, for speaking aloud of your children that we might be comforted. You can listen to their words here. Posted in Grief, How to Care for the Barren, Miscarriage, Parenting, Secondary Infertility, Suffering on November 8, 2017 by Katie Schuermann. No tree wants to be barren, especially in the height of spring. And when the sun rises on the second Sunday of May, the barren tree closes her eyes against the dreaded dawn. There is no hiding her leafless limbs in this public light. Her bare bark stands out in stark, dark contrast to the other verdant trees in the forest. No blossom crowns her head this Mother’s Day, no fruit snuggles against her naked breast. She has but one, lone Shoot growing from her sterile stump. “I can bear no fruit,” she laments to the sunrise. “But my children are dead,” she cries. “I am alone,” she mourns. The tree opens her eyes to see a robin returning from a morning scavenge, feeding her babies nesting on a forgotten limb. The barren tree – through no strength of her own – stands tall, lest the baby birds should fall. Artist Edward Riojas has captured the poignant reality of barrenness in his exquisite cover artwork for He Remembers the Barren, Second Edition. This moving painting is now available for purchasing. Do you have someone in your life who might appreciate a giclée print of it this Mother’s Day? Posted in Grief, How to Care for the Barren, Infertility, Miscarriage, Secondary Infertility, Suffering on May 10, 2017 by Katie Schuermann. Eight years have passed since I first began writing He Remembers the Barren, and the time is ripe for a second edition. I am thrilled to announce that Emmanuel Press will be publishing this revised, expanded edition. Why bother with a second edition? 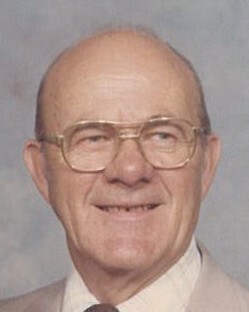 I have grown in my knowledge and understanding of the topic of barrenness, both through personal experience and study, and I would like my confession of the theology of the cross in the book to proclaim more clearly how our heavenly Father disciplines us, His dear children, through the gift of suffering in this life. I also feel compelled to better and further address the topic of adoption and the ethical issues surrounding in vitro fertilization and other such procedures utilized in the field of infertility medicine. Much of the original book’s content will remain the same, though I am making revisions – some minimal and some more significant – to every chapter. I am also composing new chapters as well as an appendix of shorter questions-and-answers addressing concerns frequently expressed by those wishing to have children and the loved ones who wish to serve them. The second edition will also contain discussion questions written by Rebecca Mayes, making it more accessible for use in group study. One more thing: acclaimed artist Edward Riojas is painting the cover for the second edition. 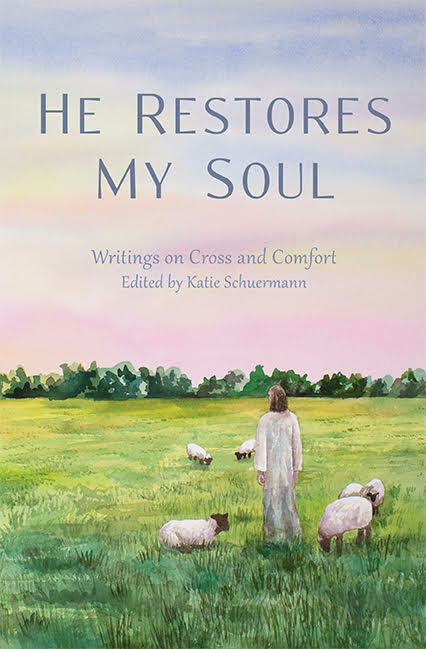 While the poignant, raw emotion evoked by the first cover will forever be my first love, the artwork designed for the second edition is exquisitely tender and beautiful and honest and hopeful and Christological and perfect. It is a better match for the book’s content, and I fully approve of their marriage. You are going to love it. Look for He Remembers the Barren, Second Edition to be released in May. Posted in Adoption, Embryonic Adoption, Grief, How to Care for the Barren, Infertility on March 23, 2017 by Katie Schuermann. On days when the cross of barrenness feels too heavy to carry, God reminds me that there are those in the body of Christ who would carry it for me. And I am comforted. Thank you, Joy, for writing this beautiful poem, and, in so doing, shouldering my cross. about things found in nature. who yearn for the gift? Posted in How to Care for the Barren, Infertility on February 23, 2016 by Katie Schuermann. Rev. Peter Eckardt – husband to Allison, father to +Jordan+, and Associate Pastor of Immanuel Lutheran Church and School in Alexandria, Virginia – recently wrote a letter of comfort and support to his congregation about the tender subject of miscarriage. We are most thankful to him for allowing us to share this letter with all of you. What do you do when you experience a miscarriage? This is a question that no expectant couple wants to address and yet desperately needs the answers to as soon as tragedy strikes. Allison and I were expecting our first child. We were excited, nervous, terrified, and overjoyed all at the same time. We were reading books and pamphlets, downloading pregnancy-tracking apps, and talking to numerous mothers and fathers—all to prepare us for the rest of the pregnancy, for birth, and for everything that was to follow. We were learning more and more about our baby’s development. At 8 weeks gestation, we had already heard and seen the baby’s heartbeat via ultrasound—how special that was! But at 10 weeks and 6 days, we were completely unprepared for the miscarriage that happened in the middle of the night. ‪In the hours and days following the miscarriage that Allison and I experienced a month ago, several questions flooded our minds, and we had little idea of what the “right thing to do” was. We were able to preserve the remains of our baby, but now what? Can we, should we, bury our child? How would we go about doing that? Can we have a funeral service at the church for our unbaptized infant? Is that sort of thing done? What comfort do we have, if any, that our baby is in heaven? Should we name him or her? Those of you who have experienced a miscarriage may have your own set of questions you’d like to add to this list. I will not attempt to answer all miscarriage-related questions in this letter—and, indeed, not all of them have a clear, right or wrong answer—but I’d like to at least begin the conversation with a few points. ‪If you have had a miscarriage, I want you to know that there are many promises of peace and hope for you and for your departed little one. You need not fear that, because your child was not able to be baptized, he or she is therefore unable to be included in God’s kingdom. Though God indeed attaches his promises of grace and forgiveness to His holy sacraments, He does not limit His power to these sacraments. Unbaptized, the thief on the cross comes to faith in his final hour and is told by our Lord the he will be with Him in Paradise (Luke 23:43). God is the maker of heaven and earth; He can do all things. Moreover, we know that “the effective, fervent prayer of a righteous man [i.e., a Christian!] avails much (James 5:16). Our Lord tells us to ask and it will be given to us (Matt. 7:7) and that whatever we ask in His name, He will give us (John 14:13). Likewise, God says in Psalm 50, “Call upon me in the day of trouble; I will deliver you” (Psalm 50:15). And even if we have not prayed as we ought, the Spirit offers prayers for us in our weakness (Rom. 8:26-27). The Lutheran Service Book Agenda, which has a rite of “Burial for a Stillborn Child or Unbaptized Child,” states: “While alive and in the womb, this child was brought and commended to Christ in our prayers. We should not doubt that these prayers have been heard, for we have God’s own kind and comforting promises that such prayers in the name of Jesus Christ are heard by Him” (132). ‪As Scripture teaches, we believe that infants can receive the Holy Spirit and the gift of faith without yet being able to rationally hear and understand the words of Scripture. The infant John the Baptist leapt for joy in Elizabeth’s womb when he heard the sound of Mary’s greeting (Luke 1:39-45). This was surely the work of the Holy Spirit, for He is able to create faith even through the womb. It is indeed true that “with God all things are possible” (Matt 19:26). ‪Consider also how our Lord Jesus shows compassion toward the littlest of children, praising their faith. In one instance, Jesus sets a little child in the midst of his disciples and says, “Unless you turn and become like children you will never enter the kingdom of heaven. . . . See that you do not despise one of these little ones. For I tell you that in heaven their angels always see the face of my Father who is in heaven. . . . It is not the will of my Father who is in heaven that one of these little ones should perish” (Matt. 18:3, 10, 11). In another instance, “they were bringing even infants to [Jesus] that he might touch them. And when the disciples saw it, they rebuked them. But Jesus called them to him, saying, ‘Let the children come to me, and do not hinder them, for to such belongs the kingdom of God'” (Luke 18:15-17). There is no question that Jesus has a special, tender regard for the little ones. ‪I praise you, for I am fearfully and wonderfully made. . . .
‪Finally, a passage I find particularly poignant and comforting is the account of the death of King David’s first child in 2 Samuel 12:15-23. David’s son is afflicted by God upon birth and dies after seven days (significant because his circumcision—the Old Testament equivalent to the sacrament of Baptism—would have been on the eighth day). During that time, David beseeches the Lord to be merciful and to spare his son from death. But when the child dies, he stops mourning, worships the Lord, and says, “I shall go to him, but he will not return to me.” With these words David appears to be expressing hope in the resurrection and in a blessed reunion with his son in heaven. With all of this in mind, answers to some of the previously-mentioned questions start to become clearer. Yes, you may have comfort that your unbaptized child who died an untimely death has been brought to the arms of Jesus in paradise and awaits the resurrection. Yes, you may ask your pastor for a funeral service in the church. And yes, you may give your miscarried children a Christian burial. There is no single right way to bury your miscarried baby, nor is it even possible in many cases, depending on the situation. Sometimes, the remains are not able to be preserved, parents do not know that they can preserve them, or they unknowingly dispose of them. If the miscarriage happens at a hospital, for instance, the couple may have to insist that they be given the remains for the purpose of burial. Otherwise, the remains may simply be disposed of by the hospital as a matter of protocol. For Christian parents who did not or were not able to keep the remains of their child for burial, there is no need to be burdened with guilt or regret. Take heart, and know that our good and gracious Lord holds your child in His arms regardless of the state of your baby’s bodily remains and that He can and will resurrect your child on the Last Day even without a burial site. Our God is abounding in steadfast love, forgiveness, and mercy to both you and your little ones. ‪For those who are able, however, it is a good and commendable thing to keep the remains of a miscarried baby and to seek an appropriate avenue for Christian burial. Ask your pastor for guidance, as each situation may be unique. Though the world around us pays little attention to miscarriages and often expects mothers and fathers to simply move on or to get over the miscarriage quickly, we Christians have an opportunity to boldly confess that a baby who dies by miscarriage—and who may only be a few centimeters long and a few weeks old—is just as much a human life created by God as you or I. Whenever a miscarriage happens, we ought to acknowledge both the very real life of the child that has ended, and the very real loss that the parents are undergoing. And as Christians, we must not forget to confess our hope in Jesus Christ, our God and Savior, whose good and gracious will is always better than ours. “And we know that for those who love God all things work together for good, for those who are called according to his purpose” (Rom. 8:28). ‪Allison and I decided to have our baby Jordan buried in Richmond, VA, at Mt. Calvary Cemetery. This particular cemetery donates land specifically for the burial of miscarried babies. Burial services are also provided through the goodwill and cooperation of the The Catholic Diocese of Richmond, Bliley Funeral home, and Richmond area hospitals. They conduct burials of miscarried infants about once month, reverently interring several miscarried children together in a single plot of land. Tiny white caskets are used with the names of the babies placed on each. Allison and I were in Richmond this past Wednesday for our baby Jordan’s burial. We are extremely grateful for this gracious program and have talked about how nice it would be if more such programs were available for Christian families. ‪There is much more to say on this entire topic, and I plan to do so another time in order to comfort and assist those who have been and will be affected by miscarriage. It is, unfortunately, a common tragedy among us, but its frequency does not make it any less sorrowful. ‪”The last enemy to be destroyed is death” (1 Cor. 15:26). ‪Heavenly Father, Your Son bore all our griefs and carried all our sorrows. Strengthen the faith of these grieving parents and all who bear this heavy burden. Help them to rely on Your boundless mercy and to trust that their little one, who has been gathered into Your loving arms, will rise on the Last Day; through Jesus Christ, Your Son, our Lord, who lives and reigns with You and the Holy Spirit, one God, now and forever. Amen. 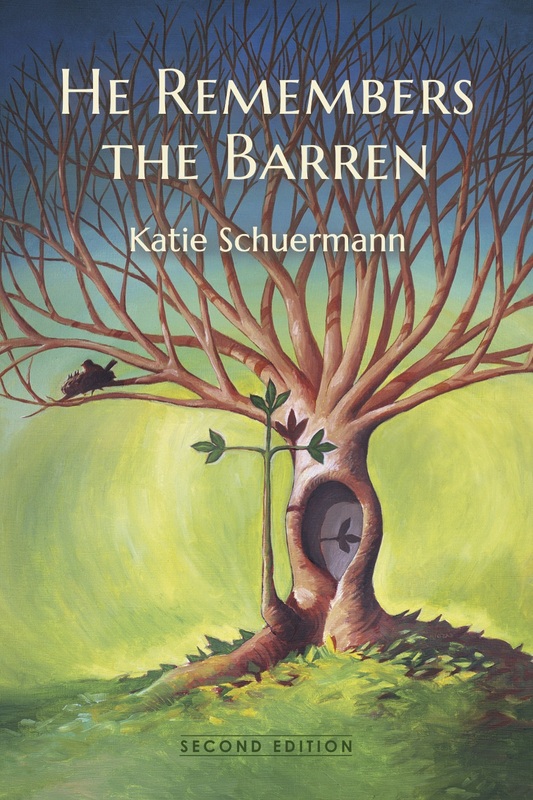 Posted in How to Care for the Barren, Infertility, Men, Miscarriage, Suffering on December 15, 2015 by Katie Schuermann. On November 7th, Christians gathered from across the country at Concordia Theological Seminary to discuss the cross of barrenness, adoption, pastoral care for the barren, and issues of ethical contention surrounding assisted reproductive technologies. Thank you to LCMS Life Ministry for sponsoring this free event and for supporting the church in its ongoing conversation about infertility ethics. If you would like to hear any of the presentations listed above, you can access the audio files here. * The authors of this blog are not in full agreement with conclusions made in this presentation regarding embryo adoption’s relationship to the sanctity of marriage and the IVF industry. We are prayerfully considering writing more on this topic in the future. Posted in Adoption, Embryonic Adoption, How to Care for the Barren, Infertility, IVF on November 20, 2015 by Katie Schuermann. The day was overcast, cold, and windy. I fumbled with the transferring of groceries from my Aldi cart to the empty bags in the back of the van. My two-year old sat in the cart, playfully kicking me with his legs as I did my work, adding to the annoyance of the morning. Forgot to wear gloves, didn’t bring enough bags, forgot to unload all the junk from the back of the van so I’d have room for groceries, child won’t stop whining…. Apparently I didn’t do a very good job of hiding my aggravation. I heard the rattle of cart wheels behind me and then noticed the rattling stop as they reached my location. I waited for a minute or so and then glanced over my shoulder. There stood an elderly man in a thin coat and jeans, a patient smile parting the deep creases on his face. He held out a quarter and asked if he could take my cart for me. His face held my gaze for some time as I marveled at his resemblance to my own grandfather, who had left this world years ago. He was smaller in stature and his face was much gentler, but the similarity was enough to tug at my heart. With a cart already in his hand, it was obvious he was just relieving me from having to return my own. “Oh–thank you,” I smiled back. “I’ll try and hurry.” I fumbled even more, feeling his silent presence at my back and knowing that he was just as cold as my son and I were. Somehow in the midst of him sharing his story the child was removed, the cart and money exchanged, and then I uttered a weak but sincere “Thank you” before he shuffled off, still smiling. I don’t remember giving him any other response. I felt speechless. As I drove out of the parking lot, the tears came. Tears of embarrassment for sticking my foot in my mouth. Tears of gratitude for the whiny boy in the backseat. Tears of guilt as I recognized, yet again, how often this gift is taken for granted. Tears of sorrow for loved ones with an empty back seat. But mostly, tears of awe at being in the presence of such kindness, such an awareness of other’s struggles, and such thoughtfulness from someone who had lost so much. Even in what may be the last decade of his life, he was looking for ways to serve, to give out of what some might see as emptiness. But he didn’t look empty to me at all. I have a strong hunch that Someone was keeping him full. Posted in Adoption, Grief, How to Care for the Barren, Infertility, Miscarriage on December 14, 2014 by Rebecca Mayes.